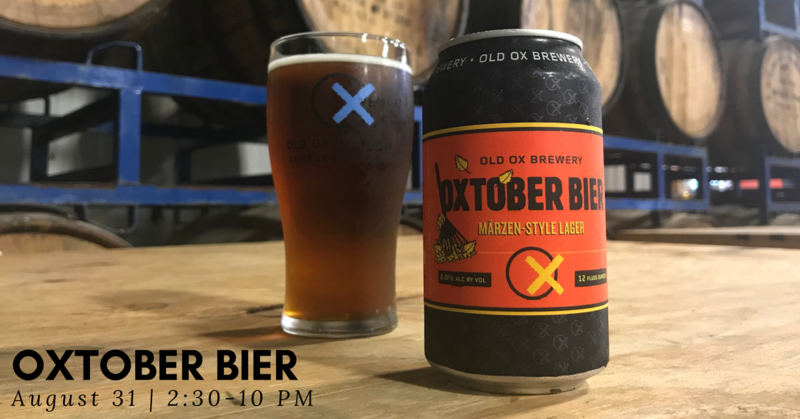 Oxtober Bier is a Märzen style lager… very clean, smooth and malt forward with rounded malt sweetness accompanied by nice biscuit and toast accents and a pleasant hop bitterness for balance. Come out on August 31st for our release of Oxtober Bier. Enjoy it on draft or take it home in a 12 oz. six pack. BaconN’Ed’s will be serving up some grub and 7th Son of West Virginia Duo goes on at 6:30!